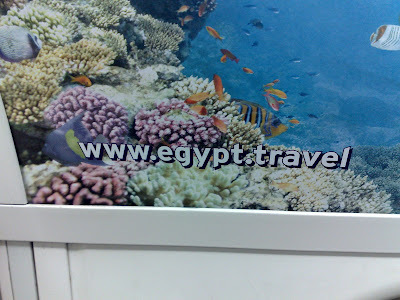 The Egyptian tourist board seem to have ads everywhere in London at the moment - and they are using a form of web address that I can't remember seeing before www.egypt.travel. This is not a typo though and according to silicon.com, dot travel domain names first went live in October 2005, but "the registrar will only be giving out domain names to specific owners – firms it authenticates as working in the travel and tourism industry, including airlines, tour operators, taxis and B&Bs." Considering these have been around for over 3 years, I find it amazing that this is the first one I have seen. Other new domain endings have been evident (like .tv, as in www.five.tv) but this is the first .travel domain I have seen. Have I been asleep or have other prominent tourism campaigns been using this domain ending?